How time flies! The Northwich LitFest is nearly here, planned so long ago! Sandiway Library, here I come, next Tuesday June 1st at 7.30. I’ll be chatting about my books – mainly the latest, Not in our Hands. After the WoW fest in Liverpool, here’s hoping the Sandiway Library space will be as full as the venue in Liverpool !And according to Susan Osborne, the Northwich LitFest’s energetic organiser,there are cakes to look forward to after the event. The Northwich Lit Fest (photos soon) came and went – leaving such a good feeling. Susi Osborne, the lone organiser, clearly has her finger on the pulse of a Lit Fest. 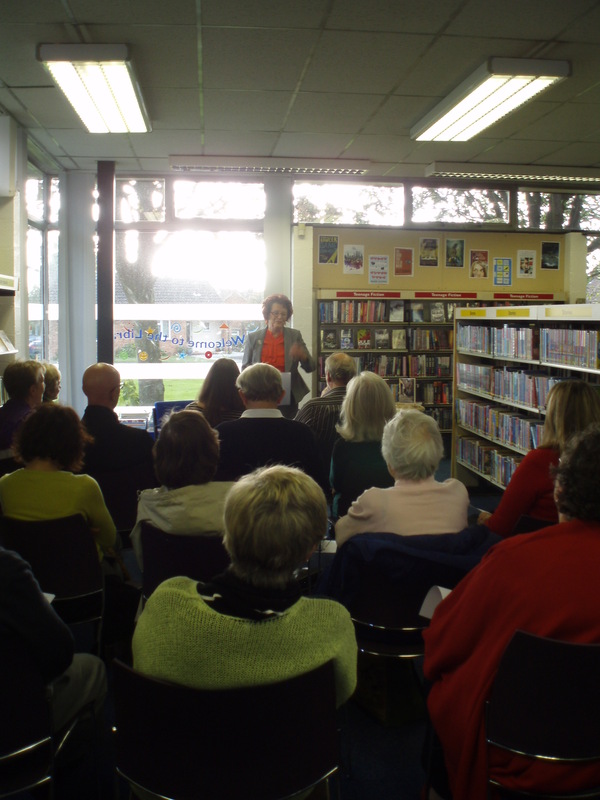 All the seats were all taken – and more added – in the welcoming Sandiway Library, whose staff took as much of a personal interest in the event as Susi and myself. If not more, since they provided wonderful home made cakes afterwards. The people there were charming, interested, interesting and generous. It was such a pleasure to chat to them all – I hope to hear that they enjoy ‘Not in our Hands’ – as well as ‘The Purple Rose’, which people also bought. Onward and upward! I am very lucky. « September 9th Another book talk date!